The ubiquity of social media has made an undeniable impact on the way people interact and share information, but its success at actually bringing people closer together and forging deeper relationships is rather mixed. In this episode of Mastering Innovation on SiriusXM Channel 132, Business Radio Powered by The Wharton School, Gina Bianchini, founder and CEO of Mighty Networks, discusses her attempt to design a more genuinely social alternative to the giants like Facebook, creating a new tool for small and niche businesses in the process. Opting out of social media altogether can be alienating for many, making it easy to miss out on the lives of friends and neighbors, but the clutter and conflict so common to the major social networks can be draining as well. For people starting new companies, Bianchini says, using these platforms to promote or grow a new brand has its limitations. Co-founder of Ning and leanin.org, Bianchini saw an opportunity to create a new digital platform to create localized, niche networks that help online relationships materialize into meaningful, tangible ones. Nicolaj Siggelkow: Let’s start with a simple question. What is Mighty Networks? Gina Bianchini: Mighty Networks is a software platform for building out the next generation of niche brands and businesses that bring people together around a shared interest, passion, or goal. What is emerging today is that a niche brand has so many different elements — a podcast, a content strategy, a community strategy, a commerce strategy, online courses, smaller groups, meetups — that are all held together. When we looked at what the next generation of small and medium size businesses and brands were going to create, we saw brands that bring people together and make connections that are now possible for the first time. That is what Mighty Networks is here to do. Siggelkow: A network creator, right? Bianchini: Yeah. We are proactively and aggressively not a social network. We are a way for entrepreneurs, creators and organizers to unlock their own niche brands and businesses that bring people together in new and interesting ways outside of the noise and clutter of social media. Siggelkow: Right. Should I think about each of these as their own little Facebooks and you’re the infrastructure provider, or do they live within a mighty network of Mighty Networks? Bianchini: They’re all their own little world, for a better way of thinking about it. What’s really exciting to us right now is how many creators and organizers are saying, “I don’t want to be limited by what we can be doing online. I want the online and digital connections to manifest themselves in the real world,” The real world is becoming the luxury; it’s becoming the thing that people are hungry for because of its authenticity and because of the fact that people are starting to lose trust in what is online in many cases. It’s another reason why this approach — of niche brands and businesses created and run by a million new entrepreneurs all around the world — is so powerful. We’re craving these closer connections and there’s more semi-public context for how we meet and build relationships with new people. Siggelkow: Can you give us a few examples of the kinds of networks that have been built? Bianchini: I don’t know if you’ve heard of an amazing New York Times bestselling author, Gretchen Rubin. She wrote a book called The Happiness Project a few years ago, but it’s much more than a book at this point. It’s now a podcast and an online course called the “Four Tendencies.” The four tendencies are how you as an individual react to expectations that are placed upon you. There are upholders, questioners, rebels, and obligers. It’s amazing and I recommend it to everyone. She basically said, “I want to bring together the people who want to go deeper around the four tendencies and explore them,” for example, if you’re an obliger but your teenage daughter is a rebel. How do you have those conversations with people who have the same shared context of the four tendencies? She and her 50,000 plus brand are using a mighty network. They also just launched an amazing online course for the Four Tendencies that allow people to dive into this concept in multiple different ways. Another fantastic example is a niche brand called Artisan Indie. Artisan Indie was started by a woman who has a passion for helping creators and artisans figure out how to sell their products and services online. They figured out the business of Etsy or the business of Shopify, took what they were doing in social media, and said, “We want to have a premium experience for different people who want our best thinking and practices but also want to meet and build relationships with each other.” So, they launched something called Flourish as a mighty network. Flourish at Artisan Indie has nearly 2,000 members, and they’re getting $14.99 worth of value every single month as they’re thinking about and investing and building out their business. I’ll give you two much quicker examples. One is something called Hairbrained, the largest niche brand for craft hairdressers all around the world. They are essentially combining education and inspiration product sales through their Shopify store. They are fully integrated into their mighty network as well as hosting live events and meetups; they host a whole set of tradeshows that happen around the U.S. and the world. Lastly, one of my favorites is Crisis Text Line, an incredible not-for-profit that is providing 24/7 text-based mental health support. The next generation of the crisis hotline is a crisis text line, and all their crisis counselors (who are all volunteers) are together in a private mighty network where they’re able to build relationships with each other outside of what they’re doing on the platform itself. Siggelkow: Give us some tips. What works? Everyone can now build a network, that’s easy, but I must get people onto my network to make it really a network. What have you seen seems to be working well to really create that community? Bianchini: This is where language is helpful, thinking about it in terms of building a niche brand. The niche is the thing that is bringing people together — the interest, the passion, the goal, the lifestyle, the diet, the meditation practice, whatever it is. The niche really is about the connection between people, but also what it is that they’re connecting around. The brand is what you are going to do that’s unique and memorable. When thinking about building a niche brand, everybody starts in the same place, which is, “Hey, I have an idea; does it have any legs?” The first step us the idea, the second step is making sure it’s as memorable as possible, meaning that you’re as specific as possible. You can always extend out. An example that is close to my heart is if somebody shows up and says, “Hey, I want to build a niche brand that empowers women,” my first response would be that women don’t need empowering; they just need to be believed, and then we can celebrate everyone’s natural confidence. But it’s also too general. The way to think about it is, “Hey, I want to create a series of events for adventurous women who just graduated from college to take a year before they start their first job and do public service in X, Y, or Z place or in X, Y, or Z way.” Now you actually have the adjective. It’s what kind of women? Young women, older women, divorced women, widowed women, curious women, frightened women, whatever it might be. The noun — women, men, children, older, younger, whatever that might be — and then the verb, which is what you want people to do together. That’s really how you start to create those network effects, that ability to bring people together. 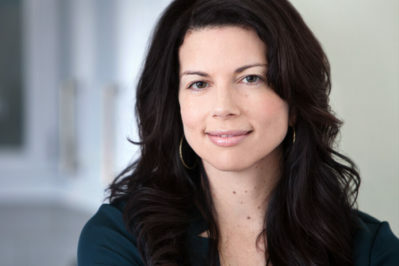 Gina Bianchini is the Founder & CEO of Mighty Networks and an expert on network effects. Mighty Networks is a rapidly growing SaaS platform for growing and monetizing your own network effects brands and businesses –– replacing a blog or website with something much more powerful. Before Mighty Networks, Gina and Netscape co-founder Marc Andreessen launched Ning, a pioneering global platform for creating niche social networks. Under her leadership, Ning grew to ~100 million people in 300,000 active social networks across subcultures, professional networks, entertainment, politics, and education. In addition to Mighty Networks, Gina served as a board director of Scripps Networks (NASDAQ: SNI), an $12 billion dollar public company which owns HGTV, The Food Network, and The Travel Channel that just merged with Discovery Communications; and TEGNA (NYSE: TGNA), a $3 billion dollar broadcast and digital media company. She also co-founded LeanIn.Org with Sheryl Sandberg, an organization dedicated to women leaning into their ambitions, where she launched Lean In Circles worldwide.